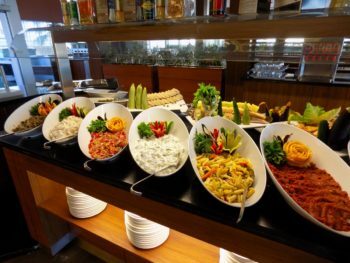 Our main restaurant offers the most outstanding examples of Turkish Cuisine as well as our international buffet. 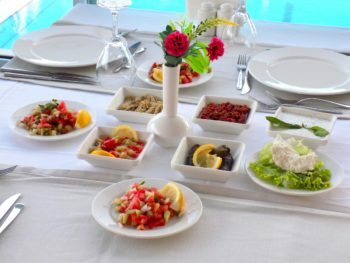 Breakfast, lunch and dinner are served open buffet at the main restaurant. All domestic spirits and other drinks as determined by our facility, are free for our guests in the main restaurant. 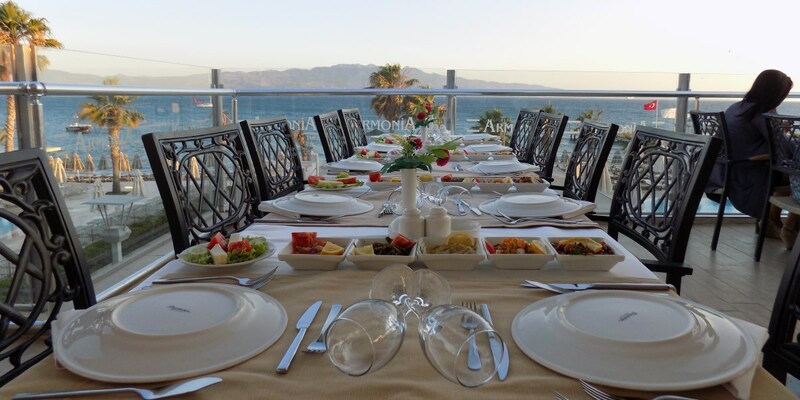 During their stay, our guests may enjoy our à-la Carte Restaurants for free for one time, provided they make a reservation* beforehand. In these restaurants, meal is served to your table. For an unblemished service experience, please remember to make your reservations a day in advance. * Please contact Guest Relations office for Information regarding reservation hours. Our Turkish restaurant is open 6 days a week, with a capacity of 75 seats. Service is free of charge for one time only, for visitors staying at least 5 days or more. With indoor and open options, our Italian restaurant is open 6 days a week, with a capacity of 75 seats. Service is free of charge for one time only, for visitors staying at least 5 days or more. 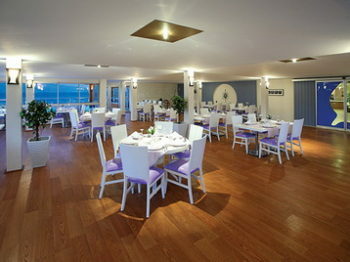 Our Fish restaurant is open 6 days a week, with a capacity of 75 seats. Service fees apply. 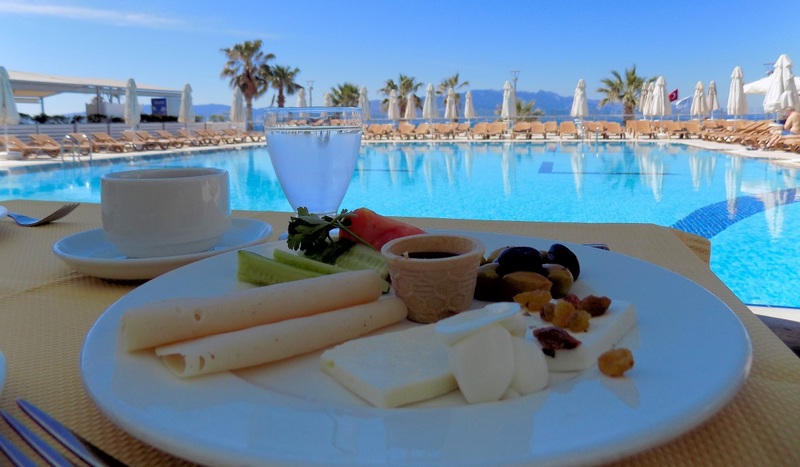 Should you choose to not wake up early and enjoy your holidays instead, our Snack restaurant offers “late breakfast” buffet between 10:00- 11:00. Should you choose not to interrupt your beach enjoyment for lunch, with its menu of salad, hamburger, chips, spaghetti and Turkish flannel cake available between 12:30-16:30. And should you decide to take a coffee break, our snack restaurant awaits you with its tea-cake menu between 16:30-18:00. * Opening/closing hours for restaurants and bars may be subject to change depending on seasonal factors.